Proper sign installation and bollard covers are key to ensuring the safety of your parking lot or property. At EverLine Coatings and Services we provide professional sign and bollard cover installation services. At EverLine we have experienced and professional crews that provide sign and bollard covers installation services. Ensuring that your property or parking lot has proper signage installed is important in increasing safety and eliminate confusion. At EverLine we can provide your business with any type of sign you may need and provide professional installation. 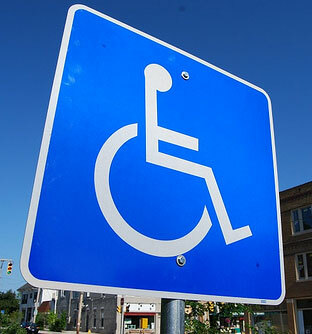 Some elements we can provide and install signage for include crosswalks, handicap stalls, no parking stalls and more. Ensure the safety of your tenants, employees or customers with proper sign installation on your property. In addition to our sign installation services we also provide bollard cover installation services as well. If you have bollards located on your property it is important to have reflective bollard covers installed on them for safety purposes. At EverLine Coatings and Services we will properly install reflective bollard covers on your property to make sure they stand out. This will help make sure your bollards meet safety standards while still protecting your property. At EverLine we provide a wide variety of colours and bollard cover sizes, so regardless of the type of bollard cover you need we can help. At EverLine we strongly believe in providing the right people for the job. In order to make sure your sign installation or bollard cover installation job is done right we only send experienced and highly trained crews. We ensure that our installation crews have the proper training to meet the highest of standards. We do this by putting all of our installers through regular training programs. If you are expecting a sign or bollard covers installation crew at your property in the near future there are a few steps your business can take to ensure the installation process goes smoothly. First please ensure that the area where installation is taking place has been cleared of obstacles and debris, this will ensure our crew can work unencumbered. To ensure our crews safety also please post notices around the property or parking lot to notify tenants, employees or customers of the work taking place. At EverLine we are a value focused company, passionate about providing the best possible prices for our clients. This is why all of our pricing is done on a per job basis. It is important to us to learn about the details of your project and the budget you have set. This allows us to provide a quote that will work for your business. To receive a free quote on your upcoming project please contact us.